Bridge Pickup New 4th Generation Noiseless Middle Pickup New 4th Generation Noiseless Controls Master Volume, Pan Pot (Pickup Selector), Treble Boost/Cut, Midrange Boost/Cut, Bass Boost/Cut, Active/Passive Mini Toggle Switching 2-Way Mini Toggle Switch for Active/Passive Mode. In Passive Mode, Only The Volume, Pan and Passive Tone Controls Function. In Active Mode, All Controls Function. 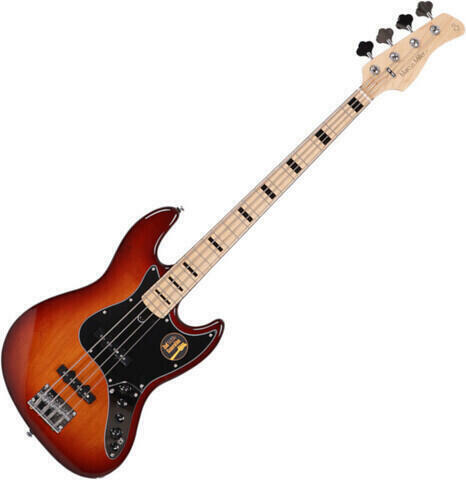 Posiadasz ten Fender American Elite Jazz Bass Ash MN Champagne , albo miałeś okazję używać produktu?